Do you find yourself hitting a slump at the end of the week? Are you finding it stressful getting an ecommerce business off the ground? You aren’t alone! Let another session of Ask Scott give you the energy and motivation you need to keep pushing to reach your goals. On this episode of The Amazing Seller, you’ll hear Scott tackles questions from sellers like you. He covers his thought of the week, if retail sellers should list their product on Amazon, how to find the best packaging for your products, connecting with agents in China, and much more! You don’t want to miss this exciting episode! One of the most challenging aspects of owning your own business is staying motivated and productive. A great way to stay focused and on target as a business owner is to make sure you have a positive environment around you. You can’t be surprised if things are disorganized in your business if your workspace and schedule are all askew! On this episode of The Amazing Seller, Scott gives listeners like you a peek into the environment he has created and how it keeps him focused and ready to take on any challenges that come his way. What can you learn from Scott’s tips for productivity? Find out on this episode! Is it a good idea to sell your retail product on Amazon? 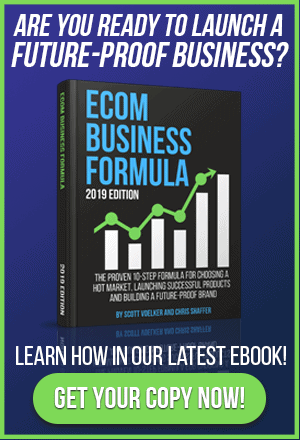 As more and more people hear about and get their start with selling on Amazon, some might wonder if it is a good idea to sell their retail products on the Amazon marketplace. You might even be considering approaching local retail shops who don’t sell their products online to propose a partnership. On this episode of The Amazing Seller, Scott goes over why he thinks this is a great idea and a wonderful way to get started as a new seller. Hear more about why Scott thinks this is such a great opportunity by listening to this informative episode, you don’t’ want to miss it! Connecting with the right people can help you go far! How can you take your ecommerce business to the next level? What would it mean for your brand if you could establish the right connections with agents in China? Imagine the advantage you could have when starting relationships with suppliers! On this episode of The Amazing Seller, you’ll hear from Scott as he shares how sellers like you can start building relationships and vetting potential partners and agents in China. This could be the factor that puts your brand in front of the competition. Hear all about Scott’s tips for making the most out of this opportunity by listening to this important episode! [2:00] Scott’s thought of the week. [12:30] Question #1: Should I try selling my retail product on Amazon? [17:30] Question #2: What is the best way to get packaging created? [22:30] Question #3: How do I connect with an agent in China? …going to do my best to answer them. And I’ve like I’ve said in the past, I love answering these questions, but I love imagining that we’re sitting around the table at the coffee shop or wherever we are and we’re having these conversations. So, I just want to say thank you so much for submitting these questions. I feel as though we are more connected when I get to hear your voice, your name, where you’re coming from, where you’re tuned in from, all of that stuff. I really, really love that stuff so definitely keep them coming. 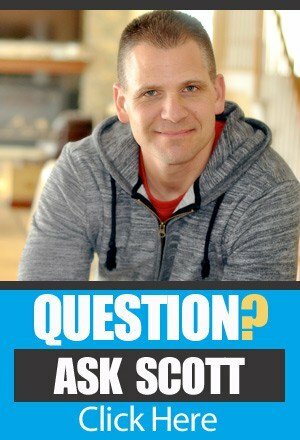 If you have a question that you want me to answer on an upcoming Ask Scott session, head over to TheAmazingSeller.com/ask and you can ask a question. Couple of rules. All you have to do is leave your first name, maybe where you’re tuning in from, and then just that quick question. I know. Pretty big rules, right? Just pretty simple stuff. So just go there, submit your question, leave a voicemail and I would love to hear from you. All right. So, what we’re going to be talking about today is a few different things. Number one, should I launch this product? I’ll give you a little bit more details on that, but I’ll let the gentleman ask the question but really, it’s about an existing product that someone already has that they’re selling offline and they want to know, “Should I bring it to Amazon?” So, it’s a pretty good question. The next one is packaging issues. We’re going to dig into that. And then finding agents in China. And there’s actually a cool little tip that I’m going to give you when we get to that question that has really sped up the process for us. So, I’m going to share that with you today as well. [00:01:50] Scott: So, before we jump in, you guys know that I love to give you guys a little bit of like what’s swirling around in Scott’s brain this week or this month. We are into 2018 now depending on when you’re listening to this. If you’re listening to this in the future, well, it might be 2019 but right now it’s 2018 and things are going really well. But usually in the past, for a lot of us, things start really well because it’s like, “Cool. I got a fresh start. Let’s make this thing happen,” and then you kind of fall off. It happens to all of us. Trust me. And it will happen to you again and you just have to figure out a way to get yourself back in the groove like get yourself back in the rhythm. Well, there are a few things that we can do to help us stay on track. And what I want to talk about here for this one little section here, you guys know I love talking about this stuff, is really how to keep yourself in there, in that groove. And one way that I found that works really well is I create the environment that I enter and then from there, I am inspired, I’m motivated. I also know why I’m doing what I’m doing like all of that stuff. So, I create a workspace to really inspire myself every single day and that goes with a lot of different aspects and it’s not something that you’re just going to all of a sudden like create the space and all of a sudden, it’s going to work. You kind of have to work at it. You got to build it. You got to figure out what makes you feel good or what makes you stay on track. So, I’m going to give you a couple of things that I recently did to my office and from there it’s a constant reminder, but it also makes me feel good. All right. Because if you’re going at this business as far as like I want to go and create this business, create this lifestyle. I want that. Well, you got to remind herself, number one, of why you’re doing it but then you also have to have these little mental triggers that when you either see something or even smell something and I’ll talk about that that it gets you in a good state, a good state of mind, and you are motivated and ready to go. [00:03:52] Scott: So, here’s what I did. I just recently created in 2018 this poster and it’s a canvas poster for my office. I actually created two of them and both of them actually they’re 30 inches by 40 inches so they’re a big canvas, good size. Actually, a little bit bigger than I thought they were going to be but it’s awesome so it’s great. So, I created one that says, “Take action.” Imagine that. It says, “Take action,” and then I put the definition underneath it that said, “Stop thinking about it and start doing it.” Now, yet you guys hear me talk a lot about taking action. And you guys hear that I’m always saying, “Guys, get out there. Make it happen. Take action,” but I’m also doing it to remind myself to constantly everyday take action. There’s a whole bunch of different things that we can apply this to whether it’s working out, whether it’s telling your family that you love them more often or if it’s about building a business. Taking action means doing something and stop thinking about it. Stop just letting those thoughts kind of swirl around your head and start doing it. I think that’s a huge takeaway for a lot of people is to take action mantra is really about just getting stuff done and getting started. So, for me, I want that as a constant reminder for a couple of different reasons. I want to know that or when I want to be reminded that when I see that, that I’m doing that for myself but I’m also continuing to spread that message to people like you. Because I think if I can do that, then I can get you to make your life a little bit better and then from there I feel good because I gave you something and then you’re going to then maybe give that to someone else because that take action element is going to impact that other person or those other people so it’s kind of like a ripple effect. So, for me the take action poster, that’s the reasoning behind it and now it’s gigantic. It’s right in front of me right now. [00:05:47] Scott: As I’m recording, I have it in front of my computer, on that screen, and then around that now I put up all these sound panels and everything from my podcast studio just to make it look cool but also to dampen some of the echoes in here. And the other thing that I did, and I wasn’t really going to talk about this, but I might as well because I’m speaking into it, I have a new mic. I don’t know if you can notice the difference at all, but I got a new mic for no reason other than I just wanted to kind of step up my game a little bit. I want to have a little bit more control when I was doing some live videos and stuff. So that was the reasoning. Okay. The other mic did a great job for 460 episodes. So, then what I did is I took that mic and I got a case for it and I retired it. And I did that as another thing for me to see on my shelf that reminds me of the work that I did and the people that I reached for me to continue to come back and keep doing it. I also did it, so I could have something to give my kids and say, “Listen, I recorded 460 episodes with this mic. I reached thousands of people, millions of downloads like that there is another reminder. So, you have to keep these things in check kind of in a sense or bring them to the surface so this way here you’re reminded. I have a big little, it’s like a little ball but it’s kind of like a wire ball and it’s got all my son’s home run balls in it. That’s a reminder of that time in my life that I really, really enjoyed that I want to remember that. So, all of these things in my workspace are there to really motivate and inspire me and keep me fired up really and keep me happy. All right. So, the take action poster that’s one. I also created another poster on another wall in the office that says, “Remember why you started,” in big huge letters. And I’m going to do a little video here and I’m actually putting myself on the spot because at the time of recording this which this is going to record probably a week before it airs, I’m going to create a video of my office and kind of go through some of the components. [00:07:48] Scott: If you want to see that, go to the show notes of this episode, TheAmazingSeller.com/466 and I’ll embed that video there on that blog post. So, go ahead, check that out if you’re interested. If you’re not, that’s cool too. But if you want to see what I’m talking about here, you’ll be able to see it better there. The other thing is the color of the room matters. You might want to take a weekend and paint your room another color, a different color, a better color, one that inspires you or that makes you feel good. Mine’s a little bit of a neutral color. Mine’s more of like a medium gray, I guess, or maybe even a light gray. I liked that color. It’s clean, it’s fresh. I feel good. So, that plays into it. The smell. What do I mean by this smell? Someone said the other day when I mentioned this, they’re like, “Yeah. For me, it’s like fried potatoes.” I’m like, “Well, that would bring me out to the kitchen.” If you’re working from home and you’re smelling potatoes, you’re going to get hungry. But yes, that would smell good but I’m talking about things like for me I like the smell of citrus, I like the smell of pine. And those things actually, if you dig into it a little bit, they’re also triggers that actually the scents give you a sense of feeling inside that whether it makes you feel good or happy. It elevates some type of like thing that happens in your brain. And I don’t even know the psychology behind it or actually the science behind it but there are people that talk about the smell really does affect the way you feel and then also relieve stress and all of that stuff. So, that’s the reason why you want to come up with some smells whether it’s an air freshener or whether it’s a little mister or any of that stuff, just a candle burning like I have a candle right now that I’m looking at, that’s out in the other room that’s burning. I just like the look of a candle. It’s calming, all that stuff. These are small subtle things but can make a huge difference for productivity but then also keeping you inspired and keeping you motivated. [00:09:44] Scott: The other thing is having things that really make you happy in the room such as family pictures. I have a bunch of them in here. I have an old family dog that I love so much that was our first child in a sense. His name was Cody. Now we have a Brody. Go figure. And he was a golden retriever. I’ve got a framed picture of him. I’ve got his leash on there, not his leash, his collar on there as a reminder. So, all of those things. I have there to really just make me feel good. All right. So, that’s the reason why you want to do this stuff. The other thing I have is a thank you wall from all of you guys that are sending in letters or sending me emails that tell me a little bit about your story and how the podcast has helped you and changed your life. Those are on a little thank you wall that I have actually becoming a big thank you wall. It’s going to take up the whole wall eventually. But that’s there to remind me why I’m doing what I’m doing but also makes me feel good. And then the other thing is books. I’m not a big like book reader like pick it up and then go read it. I do it occasionally. I do more audiobooks, but I buy books really to put on my shelf so this way here it reminds me to either go listen to that book or go pick that book up and read a chapter. And these things educate me. They motivate me and inspire me. So, again, these things are like little triggers that you’ll see or maybe not even realize that you’re seeing but it’s going to be part of your environment. So, that’s enough on that. I just wanted to kind of give you what’s kind of going on in my head to help me really stay motivated, stay inspired, and also keep me on the right track. And I think it’s important and I think a lot of people don’t look at that as a big thing or something that could move the needle, but it truly can, and you’ll feel good. Who doesn’t want to feel good? So, that is that. I just want to share that with you. [00:11:41] Scott: Hopefully, I didn’t rant too long there and give you more information there than you needed to know but I think it’s helpful and go out there and do that like figure out, even just if you straightened up your office. I know some people to say, “You know what, I’m just going to go and straighten my office up and neaten it up, so I feel more organized when I get in there.” Great. Then do that. Take an hour, take a day, whatever it takes and make your workspace happier and I think it will definitely benefit you. All right. And if you guys have any letters that you want me to put up on my thank you wall, I’m going to go ahead and ask for them. Definitely, send me them. You can actually send me a handwritten letter or even an email but if you want to send me a handwritten one, go to TheAmazingSeller.com/letter or you can just go to TheAmazingSeller.com/story and you could tell me your story there. That would be awesome. All right. So, let’s go ahead, guys. Let’s get into this. I know I went in a little bit longer on the intro, but I wanted to share that with you. All right. So, let’s go ahead and listen to today’s first question and I will give you my answer. Let’s do this. [00:12:46] Aaron: Hi, Scott. My name is Aaron. I’m calling from Israel. My question is about a product that I already own in my current business. It’s not a very big seller on Amazon but it does sell a few products every day and there are about six or seven sellers selling that product. There’s only one listing for that product. I have the same product in my own private label selling offline. Would you recommend me to send some goods over to Amazon and just try and see how it sells or should I focus on trying for a better product that fits other criteria for Amazon products? Thank you. [00:13:33] Scott: Hey, Aaron. Thank you so much for the question all the way from Israel. Amazing. Every time I hear that, I get so excited because it’s so awesome that we’re reaching people all over the globe so thank you. This is a great question and I want to really call out anyone right now that currently has a brick-and-mortar business selling physical products. You need to launch those products on Amazon. You have to. Now you could find other businesses that are not currently doing that, and you can tap into their business and handle their online stuff and that could be a business in itself. All right. But your question is really I have a product right now that I’m selling whether it’s locally or whether it’s even on your own e-commerce store right now but you’re not selling it currently on Amazon. There are a few other sellers selling a similar product there like I think you said there’s one listing there and you said that you’re not seeing like a ton of sales regardless. [00:15:34] Scott: Like there are some ways that you can get in front of your market by just targeting some of those other accessory type things, but it sounds like you’re already selling it offline so why not bring it online or bring it on Amazon? You might be selling it on your e-commerce store. I know some people that are selling like they’re fulfilling the orders themselves and they’re not selling yet on Amazon. And actually, I know someone that actually did this with like a shaving product and they didn’t care if I shared that. It was like a shaving product like a cream and they were selling it locally at farmers’ markets and all that stuff. It was like an organic type thing and they went ahead, and they were fulfilling them all by hand. They have their whole apartment, a whole like boxes and everything and it was a hassle. They would sell maybe ten a day, maybe eight a day, and they get to pack them up and ship them. And then they started to play around with Amazon and then all of a sudden, they were selling 30, 40, 50 a day and they added other accessories and stuff and they said it felt like they overnight almost that they started a recurring revenue business where they didn’t have to do with like a quarter of the work. It was just like so eye-opening for them. So, if anyone is listening and you have a current business or you know someone with a current business that sells physical products that could sell on Amazon, do it. You have nothing to lose, zero. So, I would definitely do that. I would definitely ship the products into. I wouldn’t do fulfilled by merchant. I would do fulfilled by Amazon. I think you get more search juice there if you will where you actually get in front of people easier and I also think you can then turn on your pay per click so this way here you get in front of the buyers. All right. So, the answer is yes, definitely, definitely do it. All right. Keep me posted on that too. All right? I think that was a great question and a reminder for anyone else out there that is selling physical products in their own brick-and-mortar store or even just in their own Shopify store or their e-commerce store. Definitely, definitely take advantage of Amazon and FBA. All right. Let’s go ahead and listen to the next question and I’ll give you my answer. [00:17:36] David: Hi, Scott. This is Dave in Missouri, and my question is about packaging. I’m upgrading my packaging to get away from using plastic bags. I just want to do a simple cardboard box and I’ve had a problem with both suppliers that I’m working with. I’ve got two different products, two different suppliers. They both said they can’t provide me with the dieline templates for my designer to use. My designer says they should always come from the company that’s printing the packaging. They give that to the designer and then he can put his design onto it. But anyway, I’m working with a great designer. He’s doing what he can to work around it but there’s just been a ton of back and forth with the suppliers needing little changes and then after a few weeks now we’re getting close but now it’s really not 100% like what I wanted in the beginning. So, any suggestions you have, a better way to get packaging created, if you’ve had any experiences like this where you can’t get the dieline templates and things you need. I’d really appreciate it. And thanks for all you do. You’ve been a tremendous help to me. I’ve just started doing this in April and now it’s eight months into it and I can’t believe how fast this is moving. I’ve learned so much from you. I’ve already got three successful products and it’s just really changed our lives so thanks for all you’ve done. [00:18:58] Scott: Hey, Dave from Missouri. What’s up, man? Thank you so much for the question and thanks for giving me a little update on how you’re doing. I wish you would’ve even sent me that earlier than this question but, hey, better late than never but sounds like you’re doing really well and I’m really happy for you. So, awesome job and way to take action as I’ve been saying here in the beginning of the show and talking all about that because it’s all around me. I’ve had a shirt made up of it. I’ve got a 30 x 40 canvas in front of me. So, you are the exact example of that. So, awesome job. Thumbs up. High five. All right. So, let’s talk about packaging here real quick. Now you’re doing well with the other three products without doing any special fancy packaging and I think the packaging is important, but I don’t think you need to stress about it. You said that you have something in mind. You want to create it and you can’t get it 100% the way you like it. All right. You can still tweak it I think. I think you could still make those improvements, but I would not slow down the progress because of that. That’s number one. Number two, what you’re asking is the manufacturer says, “Listen, I can’t give you a template that I need.” It’s kind of strange to me on why they can’t. If they want something a certain way, they should supply a template or at least the guidelines and the measurements. All right. So, what you might want to do, if they’re not using a custom-made box which I think you are saying that they weren’t. They’re just taking and putting your graphics on the box. It’s just you need to know where that dielines are and all that stuff. And the dielines for a lot of people are actually like where the cuts are made and also a lot of times you have a bleed line where you know how much of the area is printable and the other part might get cut off or trimmed or bent or any of that stuff. So, that’s really important. So, you may just want to have them ship you a sample of the box they’re going to be using and then you measure it and then you have your graphic designer do that. Maybe you’ve already done that and that’s what you mean by you kind of made it work. [00:20:52] Scott: The other thing is maybe you just look for another company in China whether that’s through your manufacturer or just look on Alibaba for people that do packaging, and then you can line yourself up with those people. You can go to Alibaba right now and find people that just do boxes or just do packaging. So, you might want to go down that route and then they would have to ship the boxes to your manufacturer and then they would have to pack it so it’s a little bit of a co-packing deal but it’s an option. But I think you can probably work that out with your manufacturer. I would need a little bit more details to give any more advice on that other than what I’ve just given you because I think the simple answer is make it work with what they have and that maybe you getting a sample of their different boxes that will work and then you customize that box with your graphic designer. And that’s what I would do. And not worry about them sending you a die template or anything like that. So, it sounds like you’ve got a good graphic designer that’s able to make things work but that’s what I would do in this situation and again, I would not stress too much about it. I would just continue to move forward because I think the packaging is important, but I think that getting it out there and getting it sold is more important and then you can adjust and refine on the next batch and the next batch and the next batch. All right. So, that would be my little bit of advice there for you. Keep me posted though and keep me posted on all those numbers. It sounds like you’re doing really, really awesome and I am always fired up about that. I would even like a spot on my thank you wall. That would be kind of cool. So, all right, man. Good job. Keep me posted. Let’s go ahead and listen to the next question, the last question for today, and I will give you my answer. We’ll wrap this up. You guys can get on with your day and get out there and take action. Let’s do this. [00:22:40] Lee: Hi, Scott. My name is Lee from Israel. First of all, I want to say thank you for sharing all this awesome information. It’s been helping me a lot. On one other previous podcast, you’ve been talking about how we can find an agent in China through Alibaba. Now I couldn’t figure out what you meant and if you can clarify a bit more about that, it would be great. Thank you. [00:23:13] Scott: Hey, Lee. Thank you so much for the question all the way from Israel. Wow. We’ve got a lot of people calling in from all over the globe. Love it. I think I already said that but I’m going to say it again. That really fires me up. So, awesome. Thank you. All right. Good question and yes, I have talked about this quite often and the simple answer is you need to contact a lot of different suppliers and talk to a lot of different agents and then you have to go through what I call like the interview process to where you’re going to start vetting these people out by a few different things. One would be by how they communicate with you. Do they understand your language? In this case, let’s say it’s English, so do they speak good English? Are they prompt to get back to you? Do they do it quickly? And are they willing to work a little extra for you? Meaning like are they willing to go a little bit above the norm to make you happy? So, the only way you’re going to know this stuff is when you start to communicate with those people through conversation. Now one little tip here and I talked in the beginning, I was going to share with you a tip and this is a tip that we’ve been using now in the new brand that was really discovered by my partner and they’re using an app called WeChat. And once you get to that level where you start to say, “You know what, I’ve narrowed it down. There’s like three different suppliers that I think we’re going to be able to work with.” If you don’t want to use the Alibaba messaging system which can be clunky, it can be slow, all that stuff, I’m not saying don’t do the transaction through Alibaba. I’m saying do the chat through WeChat. They love it. They love using it. It’s an app on their phone. So, whether they’re checking their email or not, and I know they can have email notifications, but it just seems like the WeChat thing they love using and it’s easy to use, and you have it on you most of the time because we all carry our phones around. [00:25:15] Scott: So, this way here you’re not going to miss that reply or you’re going to be able to shoot them a quick message and not have to worry about going to Alibaba, making sure you’re logged in, all that stuff. It’s kind of like you’re texting. You are texting basically through this WeChat. So that’s a huge tip that we’ve been using. My partner loves it, swears by it, and it’s all about building a relationship. It’s all about building a relationship. Quick story. Two of our agents which took probably, gosh, probably 30 or 40 different contacts that we had to reach out to going back and forth and then finally working with a handful and then now there’s two of them that are really, really like awesome and to us, they’re rock stars. We have one that is a super rock star and now they’re kind of working for us privately in a sense. We’ve actually paid them to go on a train ride to go to a couple of extra or additional factories for us that they aren’t even associated with and they did that for us. And now we have someone there that’s on the ground, that’s working for our company in a sense that’s a team member and we treat them that way. We gave them a nice sizable bonus. I say sizable. For them, $250 is a lot of money. So, we sent them a $250 Christmas gift and they loved it. They couldn’t believe it. And so, those little things go a long way and using the WeChat it allows you also to maybe even just drop in and go, “Hey, how’s your day going?” Like, little stuff like that to build that relationship is huge but how do you find them? You go to Alibaba, you start to contact these agents because everyone on there is pretty much an agent that’s working for either a trading company or a manufacturer, and then from there that is the person that you’re going to be able to talk with. And most of them are going to speak English. [00:27:12] Scott: So, if they do, now you want to make sure that they understand everything that you’re saying and to see how well they see your vision of what you want. And then from there, you’re going to establish that connection, that relationship. And I’ve said this before, that relationship that your building is a relationship that’s there to help you build your business and have someone there on the ground working for you, not just for the manufacturer. So, yeah, take time to build that relationship but to find them, it’s going to take some work. It’s going to take you reaching out to 10, 15, 20, maybe 50 different suppliers before you find a really good one or one that will go an extra mile for you. All right. So, that would be my advice but, yeah, that’s what I meant by going to Alibaba and finding the supplier but also finding the agent that you’re going to be able to use over and over and over again. And a lot of times, that agent might not even stay there, and you might be able to just say, “Hey, would you work for me on the side?” And they will. So, it’s worth an ask. So, hopefully, that answers your question, Lee. Thank you so much for the question by the way. And everyone that submitted questions, I want to thank you. If I have not gotten your question yet, I’m going to do my best to get to here soon but keep them coming, guys. Keep them coming. You guys asking questions allows me to keep this Ask Scott session going so definitely keep the questions coming at TheAmazingSeller.com/ask. Record a short voicemail with your name, your location maybe, I always love hearing where you’re from, and just a brief question and I’ll do my best to air it here on an upcoming show. And remember, create that workspace. Create that workspace. That would be your homework. Whether it’s neatening it up or whether it is organizing it or whether it is maybe even redesigning it with some new pictures or some new color and buy a gallon of paint, paint the room like do something to really motivate you but also inspire you every single day and make yourself feel good when you enter that space. Really, really important. [00:29:19] Scott: All right, guys. So, that is going to wrap this up. The show notes can be found at TheAmazingSeller.com/466 and I’m going to do my best to record a video of me doing a little office tour of my home office here and some of the surroundings that I’ve put in place to remind me and to really educate me and motivate and inspire. All that fun stuff. I’m going to try to shoot a video. I am going to shoot a video, and I’m going to post it here so it’s ready for you when you’re listening to this episode. So, head over to TheAmazingSeller.com/466, show notes, that video will be there, all of that stuff. I’m going to let you guys get on you with your day. I’m going to stop rambling here, so you guys can get out there and actually do what I just said here in the beginning. Take some massive action. All right. So, guys, that’s it. That’s going to wrap it up. Remember, as always, I’m here for you, I believe in you, and I am rooting for you, but you have to, you have to, come on, say it with me, say it loud, say it proud, say it with some energy, will you? Take action. Have an awesome amazing day and I’ll see you right back here on the next episode. 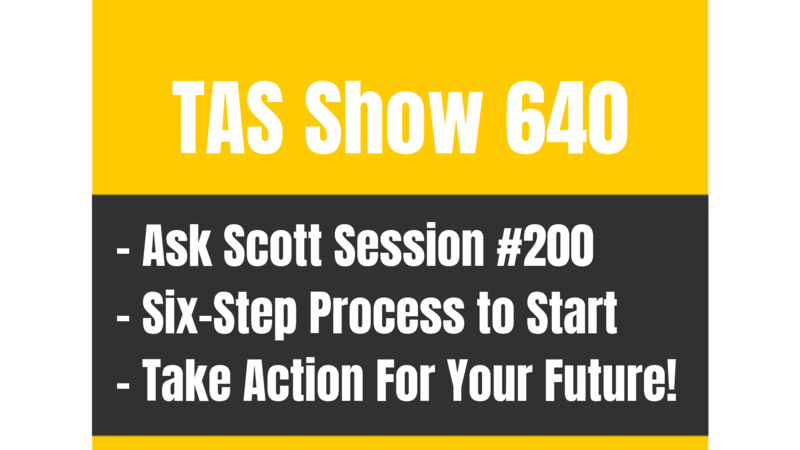 TAS 640: Ask Scott #200 – I Need Cashflow FAST – What Should I Do?